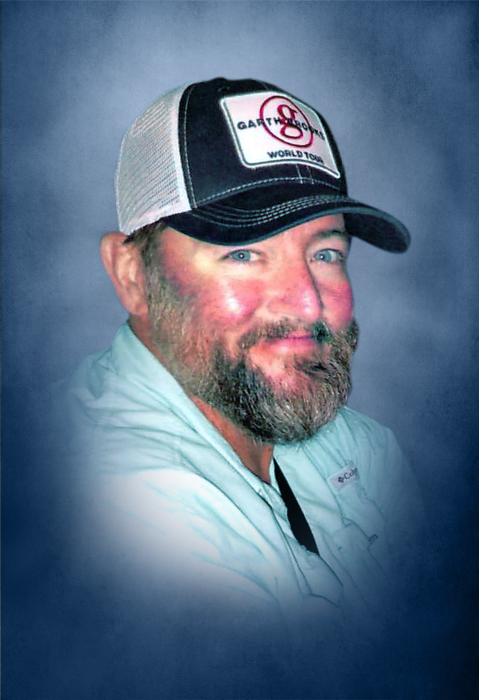 Kevin Collum of Calhoun, GA, left this world July 31, 2018 at his home, surrounded by the dear family he loved. He succumbed to his two-year battle with cancer. Kevin lived and loved large, and his charismatic personality touched the hearts of many. Those he worked with while employed by the Georgia DOT and Atkins consultants, as well as the many he competed with on numerous ballfields around this state. Kevin, a power hitter playing men’s softball, showed class to many by never being boastful of his athletic talents. Kevin was an avid outdoorsman, and loved the chance to get on two wheels to explore the open roads. A family man that many men should emulate. His love of family brought him in contact with many young men and women that played sports with his children. While a huge supporter of the Sonoraville High School athletics, his passion was in the development of the person in the game. He mentored many that have become young productive citizens of the community. Kevin is treasured and survived by his wife, Michelle Collum; his son Zach, and soon to be daughter-in-law, Savanah Wilbanks; his daughter, Kaytland; a son by choice, Austin Pasley; parents, Bo and Marcia Collum; his brother, Joe Collum; in-laws, Stan Maddox and Loretta Presley; and his favorite fur babies in the entire world, Molly, Lilly, and Luca. So many close friends, fans, and followers also survive. Please honor his memory and live life with a smile, gratitude, and a love for Jesus. Matthew 17:20. A Memorial Service for Kevin will be held on August 4th, at 3:00PM, from Clear Creek Baptist Church,142 Clear Creek Road NW, Adairsville, GA 30103. In lieu of flowers, please make donations in his honor to the Scottish Rite, Children’s Healthcare of Atlanta Foundation, 3395 NE Expressway, Suite 100 Atlanta, GA 30341. Condolences may be left online at www.maxbrannonandsons.com. Arrangements are under the care and direction of Max Brannon and Sons Funeral Home of Calhoun.